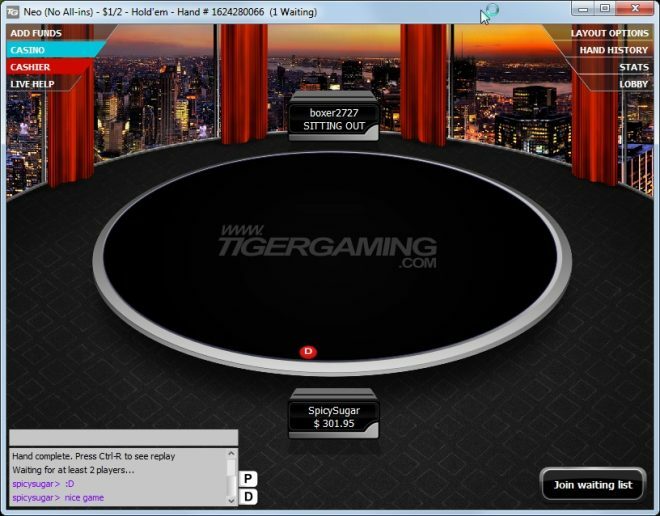 Tiger Gaming does not offer traditional rakeback, instead players exchange their Player Option Points (POP) for a base rakeback equivalent of 3 – 5% and then high rakers are eligible for large additional returns from monthly reload bonuses, rake races and tournament leaderboards. The cash game rake race has an unlimited prize pool, the MTT leaderboard awards entry to $500 – $2000 GTD private tournaments, and the top ranked Sit & Go player is awarded $1,210 every week. 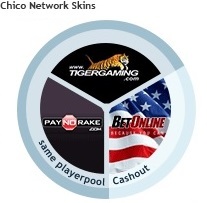 1999 – Tiger Gaming is established, owned by Julian International Holdings Ltd.
Oct 2011 – Chico Poker Network acquires the Action Poker Network, of which Tiger Gaming was a skin. 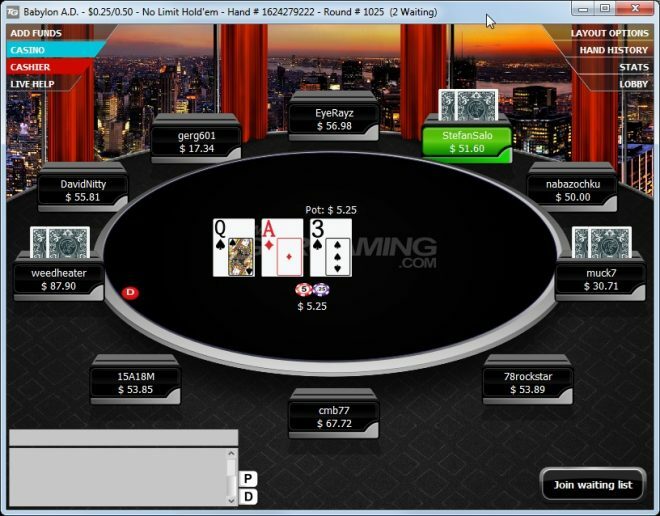 June 2013 – New Chico management resolves all issues with restricted payouts on the network. August 2014 – The rake structure shown in the table above came into effect. 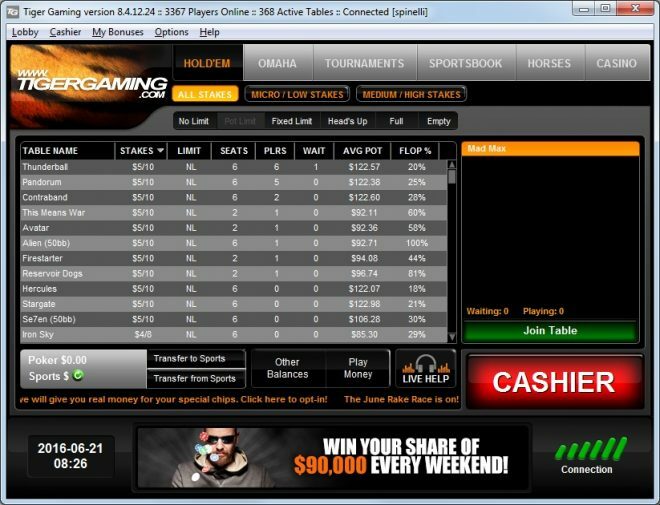 BetOnline and sister site Tiger Gaming are running two extra freeroll tournaments this month as part of March Madness. 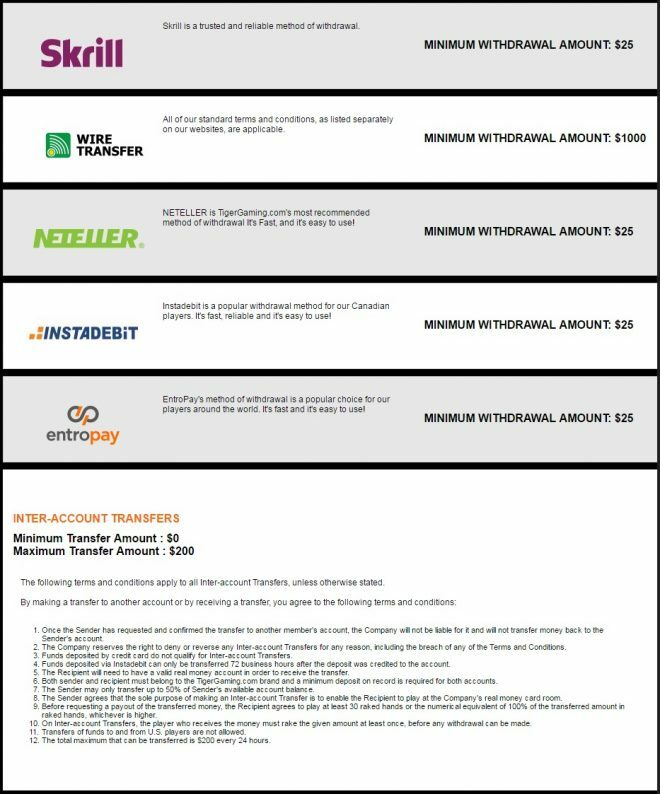 Find the dates and freeroll passwords below. All players are welcome.